The one where we were just 43 matches from the playoffs. Issue 3.03 of The MooCamp Radio Show, and we bring you the lows of the home defeat against fellow Championship new boys Preston, and compare them to the highs of the home victory against seasoned Championship stalwarts Bolton. Highs and lows etc. We mention Neil Lennon once or twice, and his big mate too, we talk briefly about UpperTierGate and we look forward to the upcoming trip to Reading and the visit of Cardiff. On top of that, Gers rounds up what’s happening on the forums, we hear from Modders once more on his travels, and of course we have all of the stuff that you, our beloved listeners, send in too. 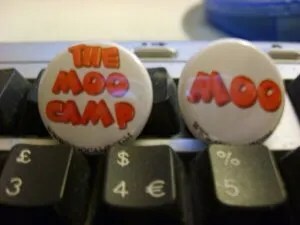 The MooCamp Radio Show – it’s like that part of the film where you can’t quite work out whether it’s brilliant or terrible. Previous PostBoom! The MooCamp Radio Show 3.02 – Listen NowNext PostHappy Anniversary of the 4-0 Drubbing of Man Utd – Listen Now!